With the West Coast Eagles imminent move to Lathlain Park, SwanCare will soon to be in the heart of Eagles territory. On Wednesday, 20th February 2019, SwanCare welcomed their new neighbours - key West Coast players and the Eagles AFLW coach Adam Selwood - for a cuppa and some serious footy chat. 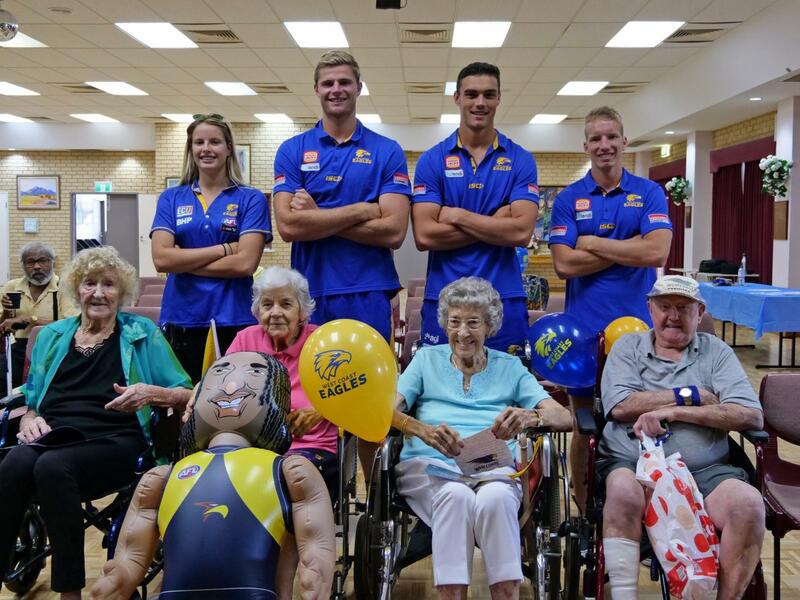 Selwood was accompanied by players Nathan Vardy, Josh Smith, Patrick Bines and Rosie Deegan (AFLW West Coast Eagles) to address SwanCare’s football fanatics and provide a photo and signing opportunity. CEO Graham Francis said days like this are eagerly anticipated by everyone at SwanCare, where serious footy fans abound, and the community is abuzz with enthusiasm for a meet and greet with their favourite team. 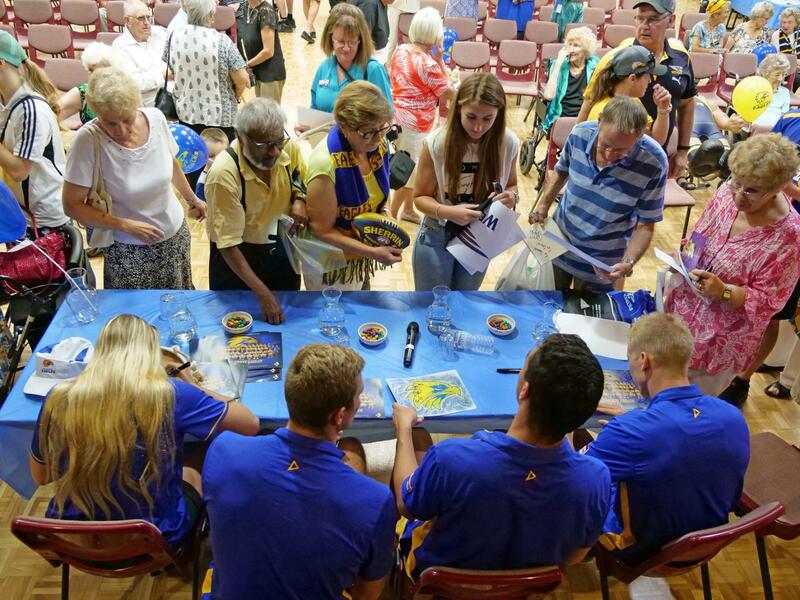 “Welcoming the West Coast Eagles to our neighbourhood was a great way to launch the 2019 season here at SwanCare. 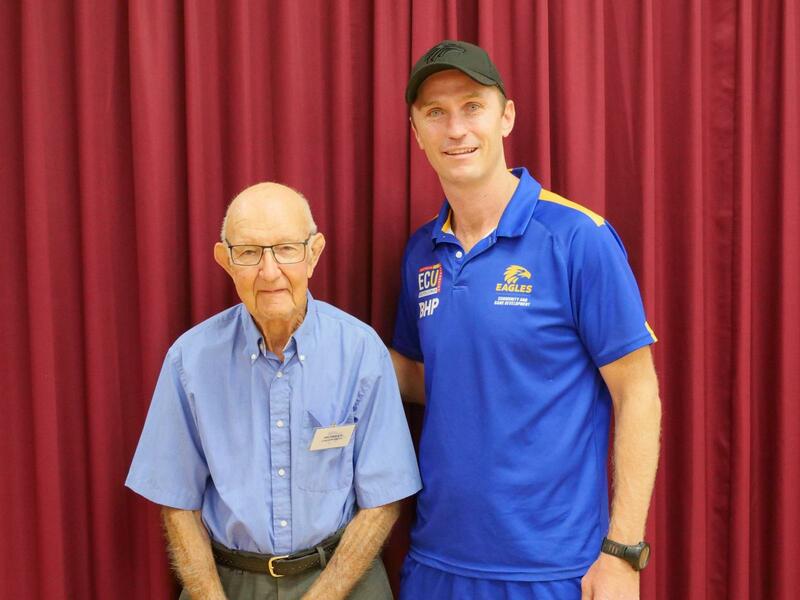 Our residents know their footy and they are a very passionate bunch!” Mr Francis said. “Hosting the Eagles was a real treat and we are excited to have the Premiership team training just around the corner." 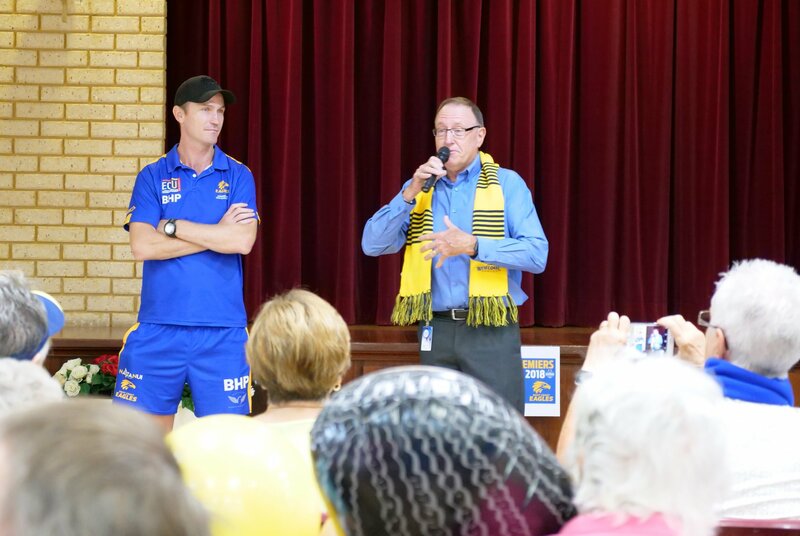 The Eagles’ visit was part of the West Coast Eagles Annual Community Camp, where the club share their love of footy at a grass roots level – with a special emphasis this year on indulging the new neighbours.